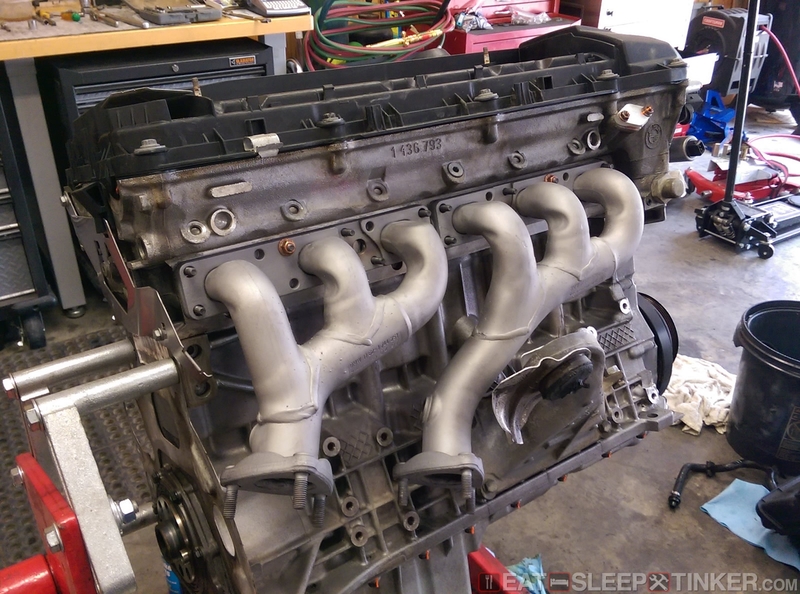 Eat, Sleep, Tinker.Spec E46 Build Part VI: Engine - Eat, Sleep, Tinker. 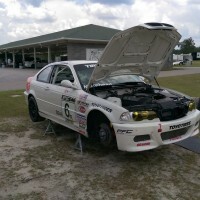 The Spec E46 rules are purposefully limited to keep competition tight and cost down, so the engine doesn’t receive much work except for mods which help it survive track duty. 1. 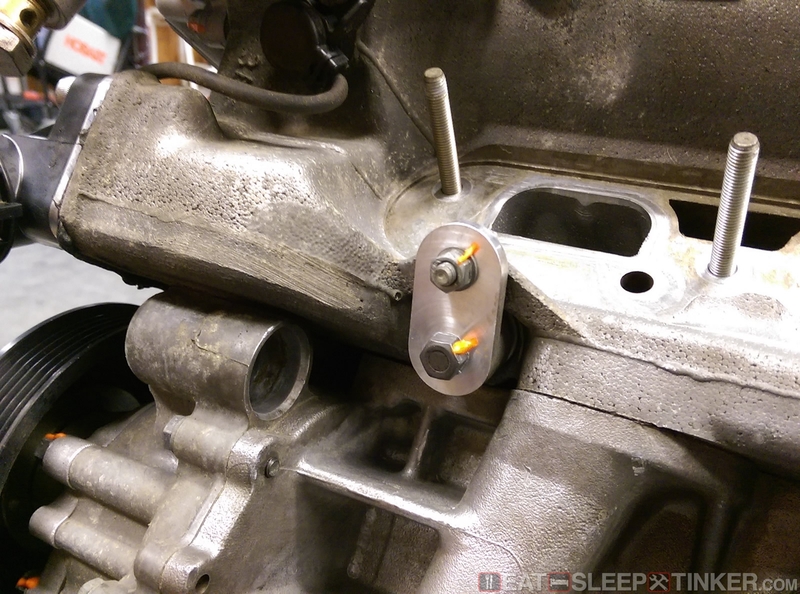 Regardless of factory specification or procedure, no oversize pistons are permitted. 2. Compression ratio may be changed only within the tolerances affected by resurfacing for trueness and within factory tolerances, and shall not exceed 10.5:1 [exact value TBD] as measured by a whistler device. 3. Time-Sert or similar product may be used with threaded components. 4. 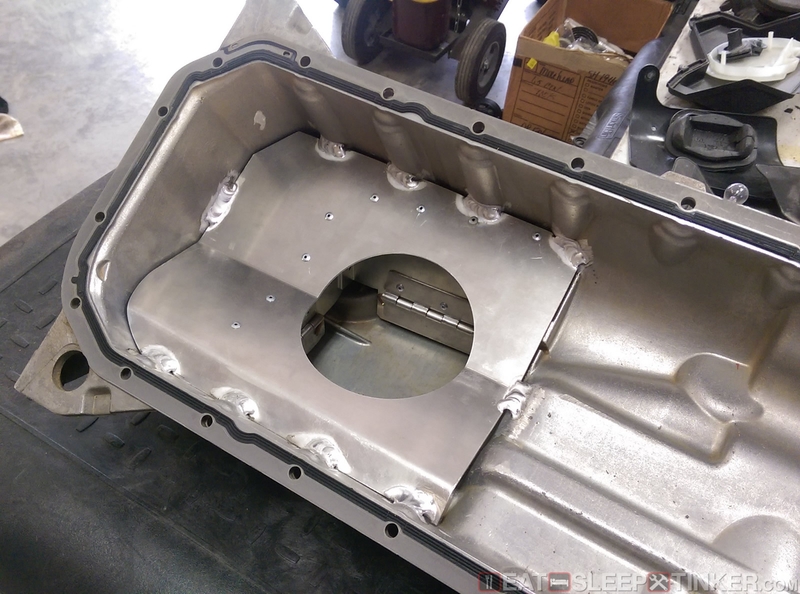 Oil pan baffle may be added. 5. Spark plugs may be replaced. 6. 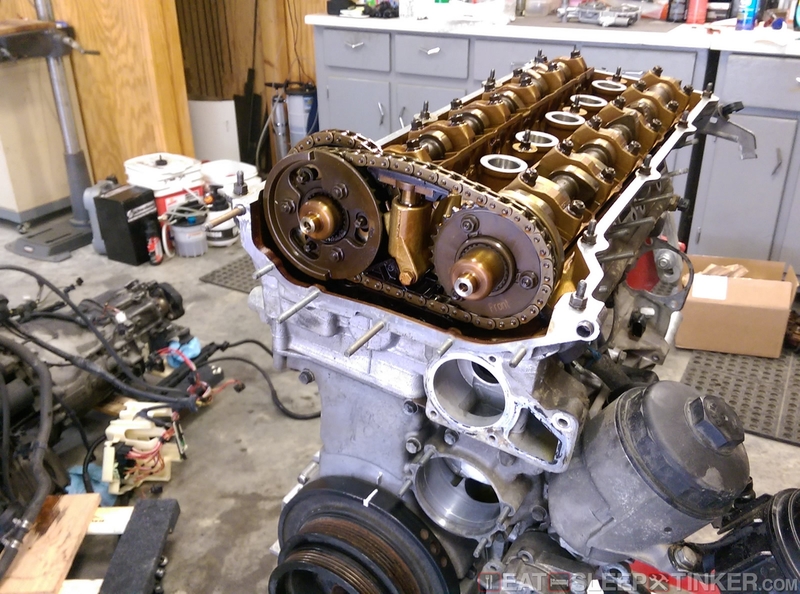 Head gasket may be replaced with any gasket having the same or greater compression thickness as stock. 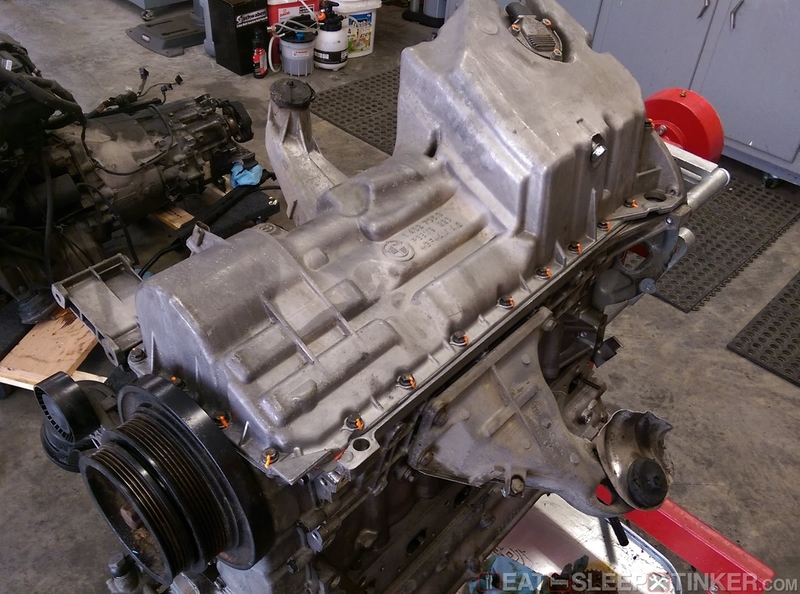 Other engine gaskets and seals may be replaced. 7. 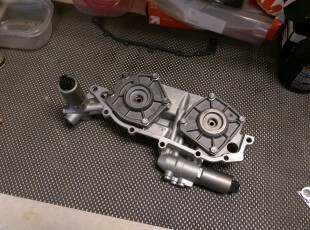 Stock oil pump assembly may be modified. 8. Oil separator (CCV system) may be replaced. 9. Oil filter housing may be replaced with the E46 M3 part number 11 42 7 839 858. 10. 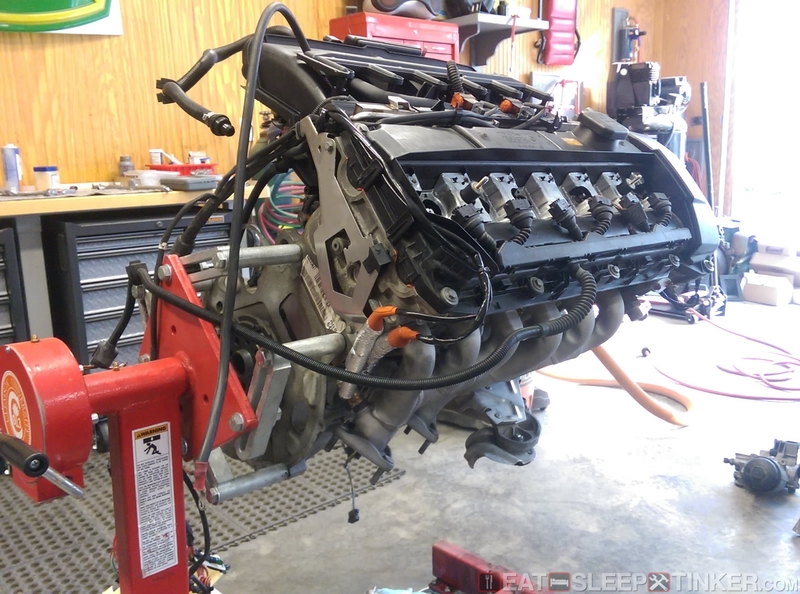 Engine must be controlled by the stock ECU flashed with the Epic Motorsports Spec E46 tune. The Epic tamper proof seal must be intact. 11. Emissions related equipment may be removed. 12. 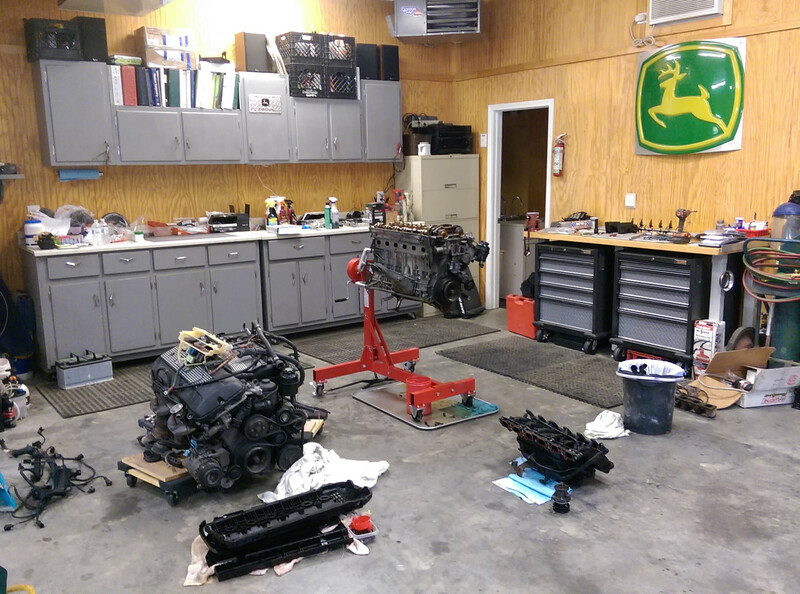 Horsepower or other engine checks may be performed to ensure compliance. 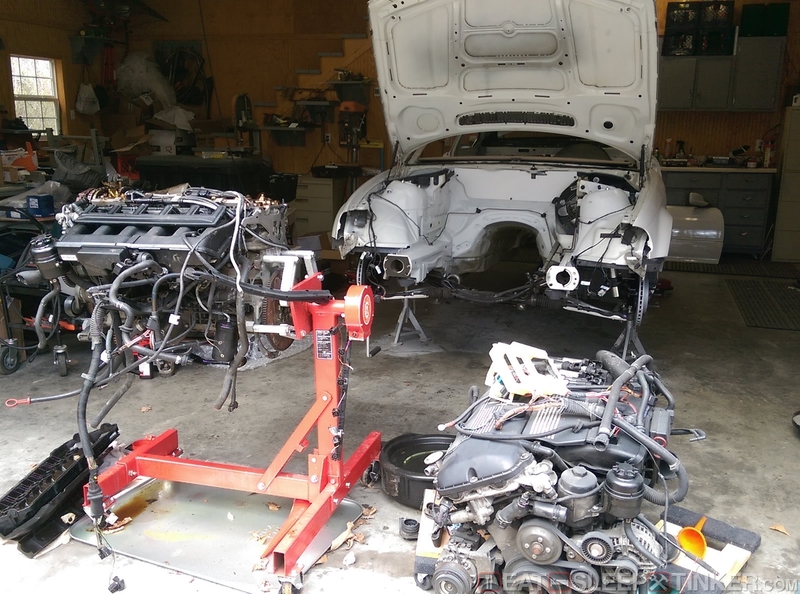 The first decision was whether or not I should continue with the original engine or find a fresher donor. 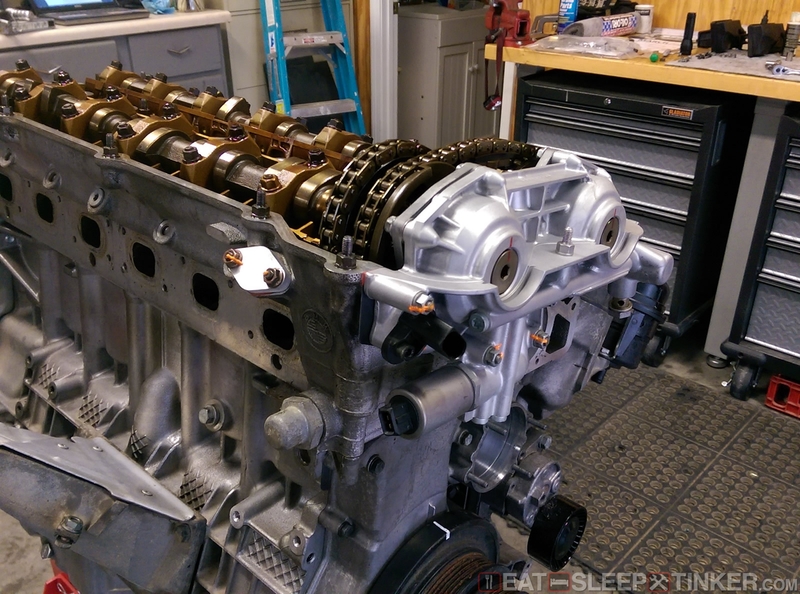 The original mill had over 220k miles, had a Vanos that sounded like bolts in a coffee can, and was clearly down on power. I hit up the junk yards and found an M54 out of a Z4 automatic with only 70k miles on the clock. It had sat idle in the yard for over a year, so it was in need of a quality refresh. I got it on the stand and begin taking it down to a bare long block. All the original rubber was mostly dry rotted, some falling apart as it was removed. The engine got all new CCV plumbing, new cooling lines, new valve cover gasket, and a thorough cleaning. 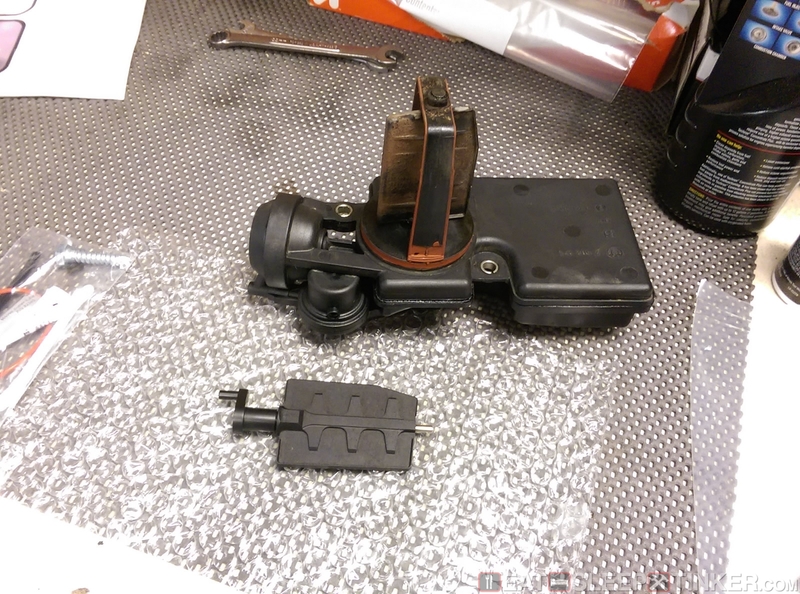 I went through the normal upgrades that my M3 has also received. On the bottom end I replaced the standard oil pump with the Greg Smith Racing (GSR) four bolt pump. 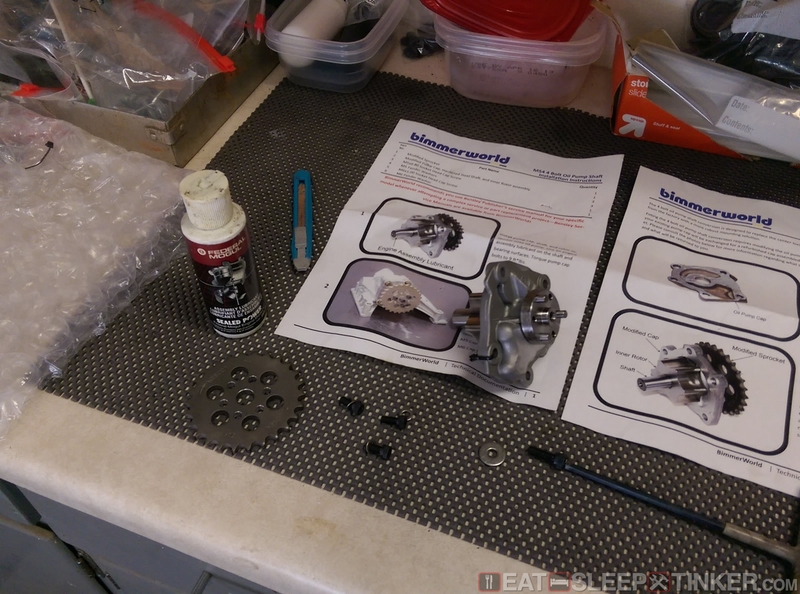 This eliminates the weak splined shaft and nut with a much beefier shaft end and sprocket. With the oil pan off I also installed a baffle from Achilles Motorsports. I have the same one on my E36 and was pleased with the results. Since I can’t weld aluminum I took it too a local fabricator to permanently burn it in. 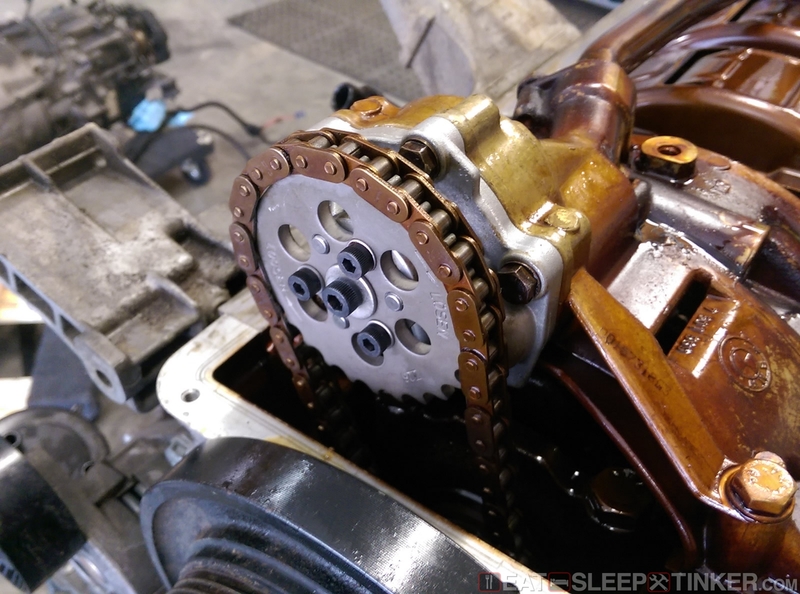 The Vanos (BMW speak for variable valve timing) system is known to wear out overtime, the usual symptoms are noise (like metal rattling in a can) coming from the unit and dead spots in the power curve. Luckily Dr. Vanos offers rebuilt units with upgraded seals. 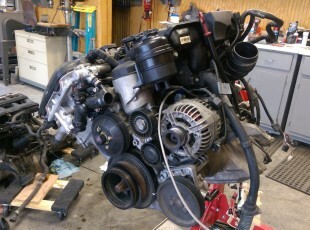 I picked up a complete unit and slapped it on the front of the engine. The old one went back as a core. 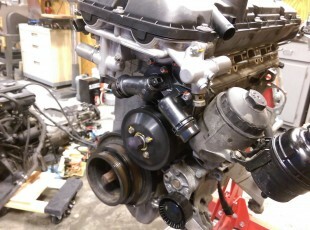 You can see the photo above and to the left that the Secondary Air Pump (SAP) flange has a blocking plate covering it. All emissions and HVAC equipment has been removed, and SAP flange is one of the spots that needs plugged. The others are the few vacuum ports on the plastic intake manifold that lead to the fuel evap tank. The cooling system also requires a bit of attention to survive life almost exclusively at the upper end of the RPM range. 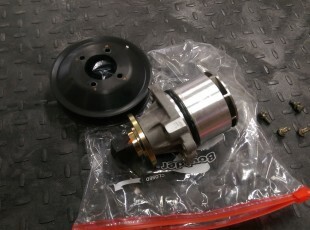 One common upgrade is ditching the plastic impeller water pump for a Stewart high flow all metal pump. These pumps are significantly beefier than the stock components and eliminate the risk of a plastic pump exploding. 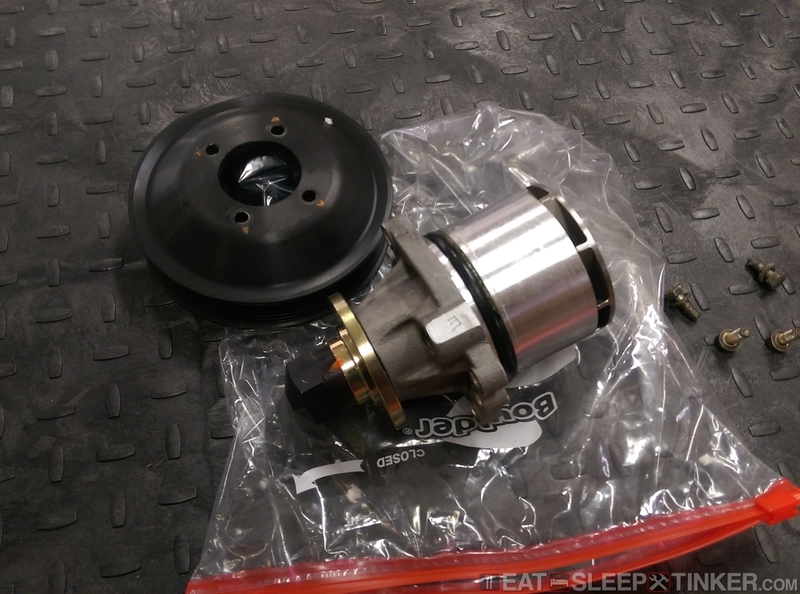 I also replaced the weak plastic pulley with an OEM equivalent aluminum pulley. Another upgrade is the thermostat. 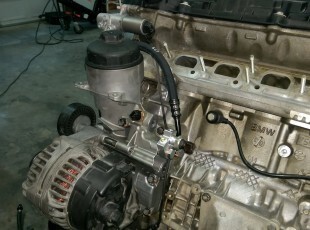 The M54 engine has a electrically actuated thermostat, controlled by the DME. There is a fail-safe designed into the system, but it can still result in a catastrophic over heating. A solution was developed by Zionsville Autosport which uses a modified stock housing, an aluminum plate, and a traditional mechanical thermostat. 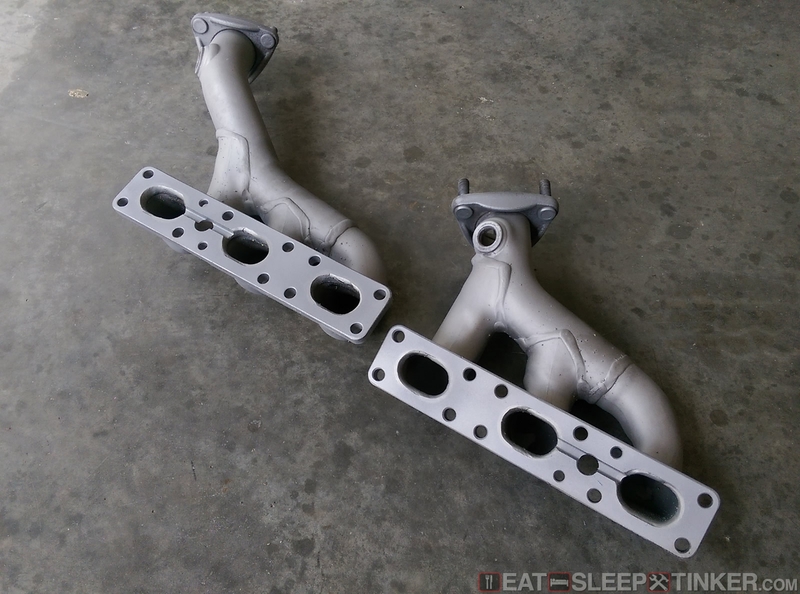 The exhaust side of the engine must adhere to the Spec E46 rules, so off came the restrictive M54 headers and on went a secondhand set of S52 manifolds. I picked up this pair for $50, and after a few minutes with the sand blaster they looked brand new. 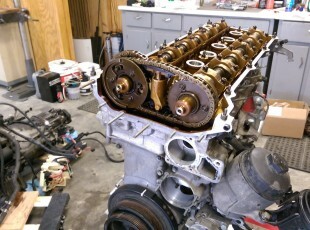 They went on with new studs, nuts, and gaskets. The DISA valve is another area of concern on these engines. 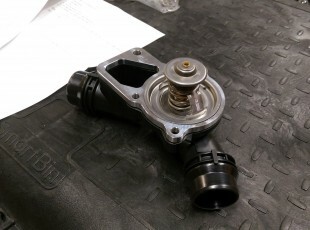 This valve is found on the intake manifold and opens and closes to adjust intake track length for different loads. 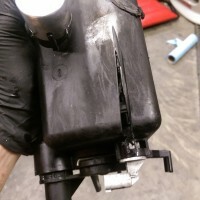 The valves are known to fail early due to weak plastic. Best case scenario is you lose some power, worst case is the engine ingests some broken parts. 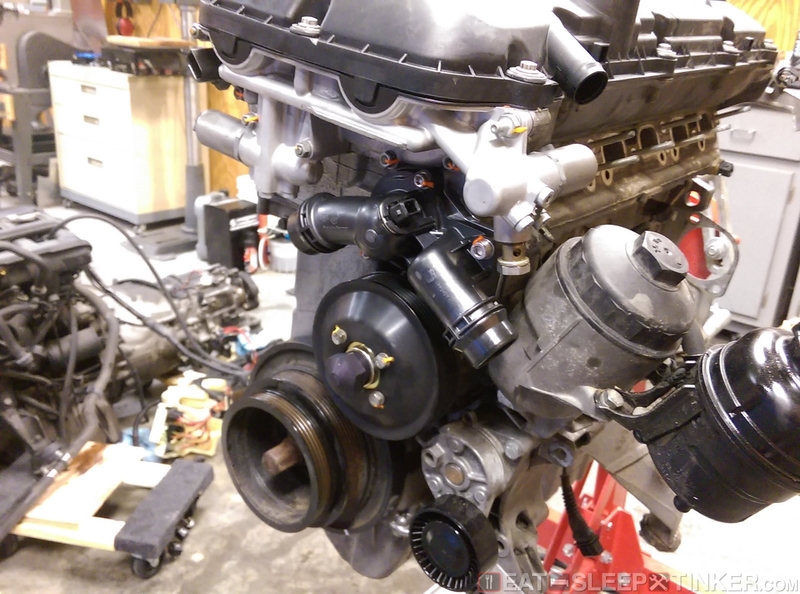 The DISA valve on my 70k mile junk yard engine was completely shot, just flapping around freely. 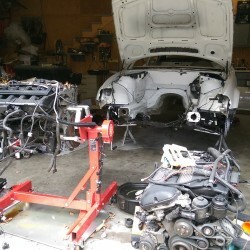 Fortunately none of the parts were missing. Good news is that German Auto Solutions makes a very nice upgrade kit that replaces the flimsy plastic flapper and bell-crank with machined and anodized aluminum parts that pivot on a titanium shaft. The kit comes complete with a new gasket (unavailable from BMW) and all the other necessary parts. G.A.S. also provides very detailed instructions on whole procedure. Since the entire HVAC system was removed, I needed to plug the heater port in the block. 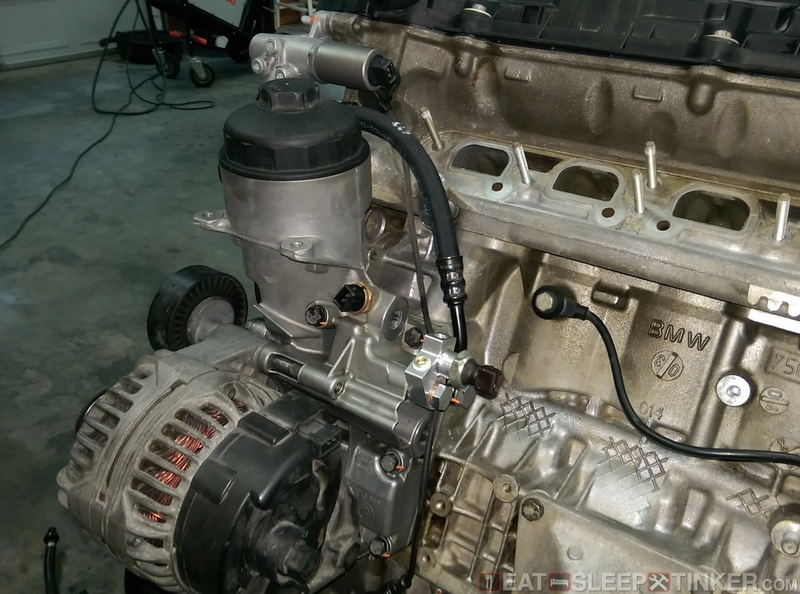 There are several different ways of doing this, but Bimmerworld has produced a very nice kit which plugs the block using a machine aluminum piece with an o-ring and also includes a plug for the expansion tank. 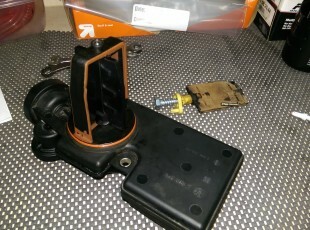 A oil distribution block, also from Bimmerworld, was added to the filter housing. 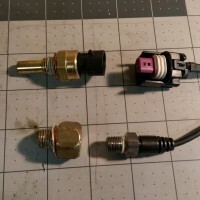 This provides a means of adding an external oil pressure sensor for the AiM data loger. The remainder of the work to the engine was focused on reliability. New spark plugs, new crank case vent plumbing, and a good flushing of all the years of sludge.